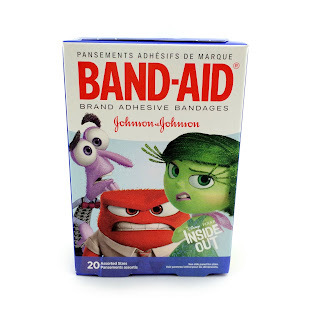 With Inside Out hitting theaters in just under a month, merch from film is finally starting to trickle out! Books have been showing up at various stores, fruit snacks were released not too long ago (seen HERE), Funko products just hit stores last week and of course the massive amount of great items that were released May 4th at the Disney Store. 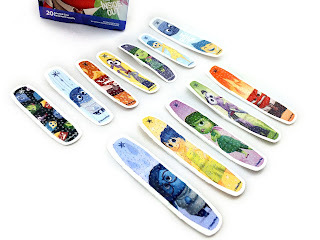 Amongst all that, even Inside Out Band-Aids have arrived. 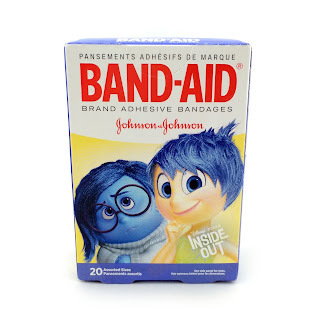 Does getting cut or burned make you sad, angry, fearful, disgusted or even all of the above? Like most people, I'm sure you feel at least a couple of those emotions when you get hurt. 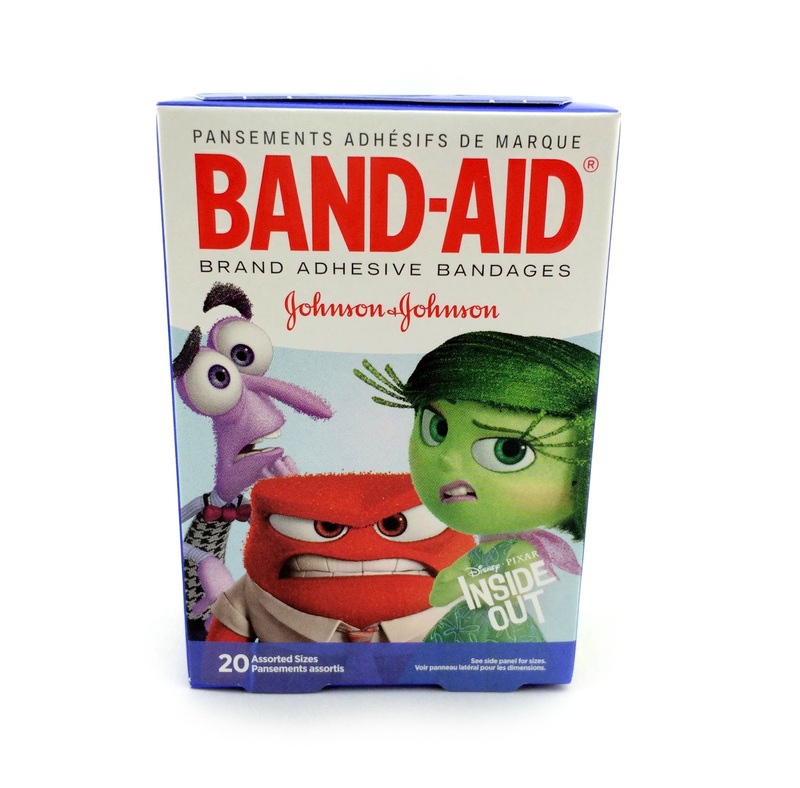 Well, look no further than these great new Band-Aids from Johnson & Johnson to cheer you up! This boxed set includes 20 Band-Aids (assorted sizes) with 12 unique designs based on the emotion characters from the film- Sadness, Anger, Fear, Disgust and Joy. I really enjoy how they've included two different styles of images printed on these. For example, the Band-Aids on the top row use the more minimalistic/simplistic designs (seen on a lot of the merch out there), while the ones on the bottom row are basically the digital renderings of the characters straight from the film. 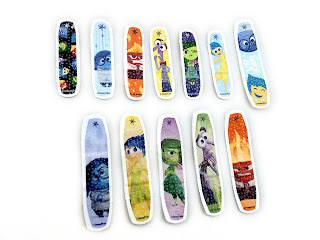 I can't help but favor the minimal designs...that's exactly the artistic style I'm drawn to (that wasn't supposed to be a pun, but I guess now it is) and I love how they've incorporated that style into much of the film's merchandise. Definitely check your local stores for these. If you're already a fan of the film (or of Pixar in general) then these are a must! I found mine at Target, but I'm sure you can find them at other stores as well (such as Walmart, Walgreens, CVS, etc...). Let me know if you have any questions or comments and thanks for dropping by!